★★★ SPECIAL OFFER!!! ★★★ Drag the ball to aim, release it to shoot... and put the ball in the hole! 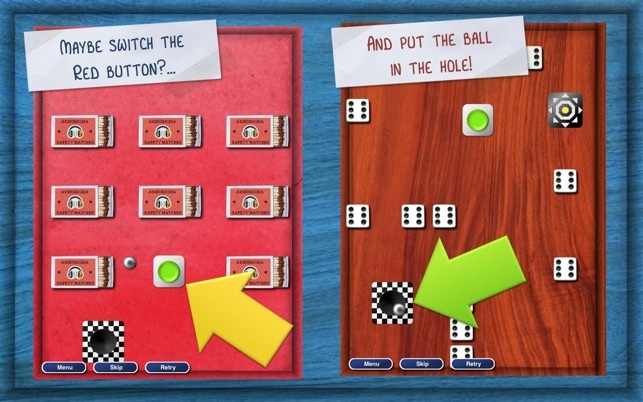 "Holes and Balls" is the unique game where you'll have to throw a ball against walls, pens or even matchboxes! 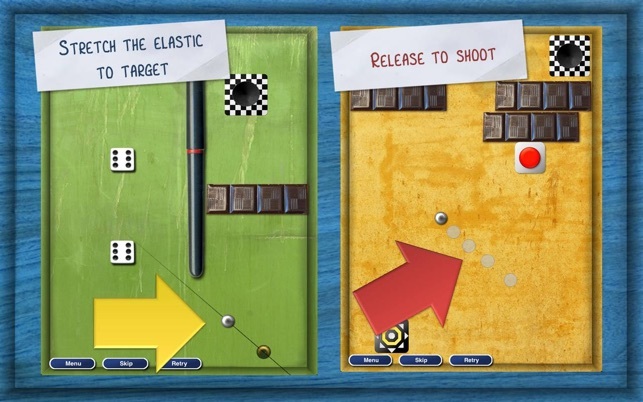 Take a few seconds to target, throw the ball and follow its realistic trajectory through each puzzling level... Will you put the ball in the hole? Not really a pinball, nor a pool game, "Holes and Balls" will give you some reasons to rack your brains, for sure and for fun :) The 90 LEVELS will entertain you for hours! Be ready to solve the crazy puzzles of this highly addictive game! 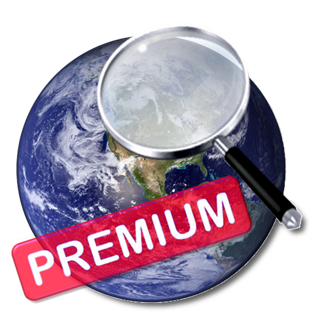 Please, leave us friendly comments on the Appstore to encourage us to release free updates. It's sure great to be able to have hours of entertainment for a dollar! I'd recommend buying it. Now, I find it to be true that it's mostly luck vs strategy that gets you to the next level. I keep aiming the ball this way or that when needed and don't have a huge amount of detail tracked when chosing the angle. It is fun when you have a hard level won in your first try, that happened a few times. I don't understand the significance of the 'button' you can win the levels with or without having turned it green and when it's left unhit I dont see a detriment or anything. There no real score tracked so I don't know what the intention is there. In any case, I hope that level 71 Is soon to be mine - I have tried level 70 plenty of times vs any other level in which I worked at to pass. 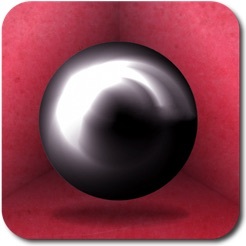 The Game is Awesome and Simple, plus very Addictive! This game is simple, but hard at times, to advance from level to level as you progress. It is very addictive and fun for all ages. One has to think things through in regard to angles and speed of the ball you shoot. I had the free version then paid a buck for the full version. I like simple and addicting games that keep your interest and this game does without a doubt. I also like to find simple and fun apps for my 6 yr old. He will love the this game! Great fun and entertainment. The game makes you think the process through as you advance into the different levels of progression. GREAT APP! Very nice graphics and what a challenging game when you have some free-time. This game has many hard levels that I have tried over and over yet I can still never complete them, which is great for me, for the reason that it keeps me motivated to keep trying. Its also a great pass-time and a very good challenge if you are up to it. This game is great for the fact that it is free, but I wish they would make more levels, and a bigger window size.